Making bracelets with perler beads and chenille pipe cleaners is a great way to work on fine motor skills with your child as well as patterning and counting, and still have fun. They wont even know they're "learning". Perler beads and chenille pipecleaners can be found at your local craft store or online. Both typically come in bulk, so be prepared for hours of fun! 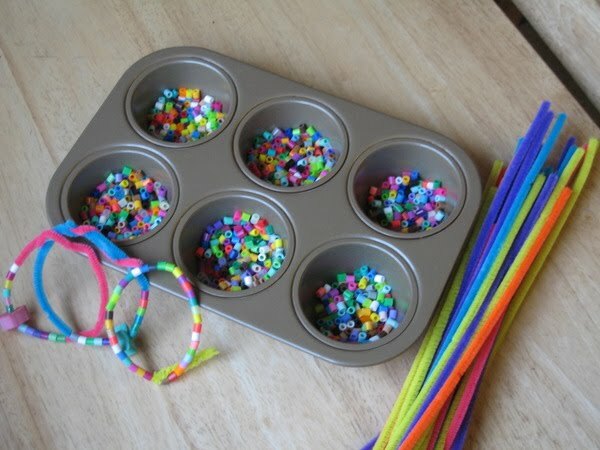 That's a fun idea, and we have a bazillion of those little perler beads!